The Niagara IceDogs and Kingston Frontenacs are responsible for the first blockbuster trade of the season as the Frontenacs send Jason Robertson and defenceman Jacob Paquette to the IceDogs in exchange for Ian Martin, Billy Constantinou, four 2nd round draft picks, three 3rd round draft picks, a 5th round pick, a 7th round pick, an 11th round pick, and a 13th round pick. It’s been no secret for awhile, the Kingston Frontenacs have been looking to move Robertson. Attempting to salvage what’s left of last year’s roster has been next to impossible, and the resources were dangerously low for Kingston. On a team that sits last in the east at 6-17-1, Robertson has carried the large majority of the offensive load. With 23 goals, Robertson is second in OHL scoring, and has accounted for 36.5% of Kingston’s goals, which is a larger portion than any other player on any other team in the OHL. With a need to restock on draft picks and young prospects, it was a given that a 19-year-old goal-scorer with the calibre of Robertson would be shopped around. Joining Robertson in the deal is Jacob Paquette, who comes to Niagara after three and a half seasons with the Frontenacs. A Nashville Predators 7th round pick from 2017, Paquette is a 19-year-old who has played an important role for the Frontenacs defence over the last two seasons. On last year’s Frontenac team, he finished with a +22 rating, good enough for third best on the team. Paquette has also been wearing an ‘A’ for Kingston since the 2016-17 season. Heading the other way to Kingston is a treasure trove of draft picks, 11 in total. Among those are four 2nd rounders, one of which belongs to Sarnia in the 2019 OHL Priority Selection, which will likely be a high pick. But the Frontenacs also received a former 2nd round pick in defenceman Billy Constantinou and a 3rd round forward with Ian Martin. Both have been traded midway through their second season with the IceDogs. Constantinou comes to Kingston as a highly valued two-way defenceman. After being drafted out of the Toronto Marlboros minor midget program, he’s quickly gathered momentum in his draft year and was recently graded as a ‘B’ level prospect by NHL Central Scouting on their players to watch list for November. With 15 points in 22 games, Constantinou was leading all IceDogs defencemen in points at the time of the trade. Ian Martin is a player with 44 games to his credit in the OHL, spending the majority of his rookie season as a healthy scratch. Now in his second season, he suited up for 20 of Niagara’s 22 games before the trade, averaging just over 10 minutes of ice time per-game. Like many other young players the Frontenacs have brought in this season, he’s a high-end draft pick with potential to be an effective OHL player, but had a difficult time breaking into the lineup on a consistent basis with his previous team. It’s not difficult to see how Niagara get better in this trade. They add an elite-level OHL goal scorer in Robertson to a team that’s already tied for second in OHL goals for at 90. Despite having outscored their opponents by 24 goals, Niagara sit fifth in the east at 12-6-4. But Niagara are very much pushing to make a serious run, as many expected they would be. 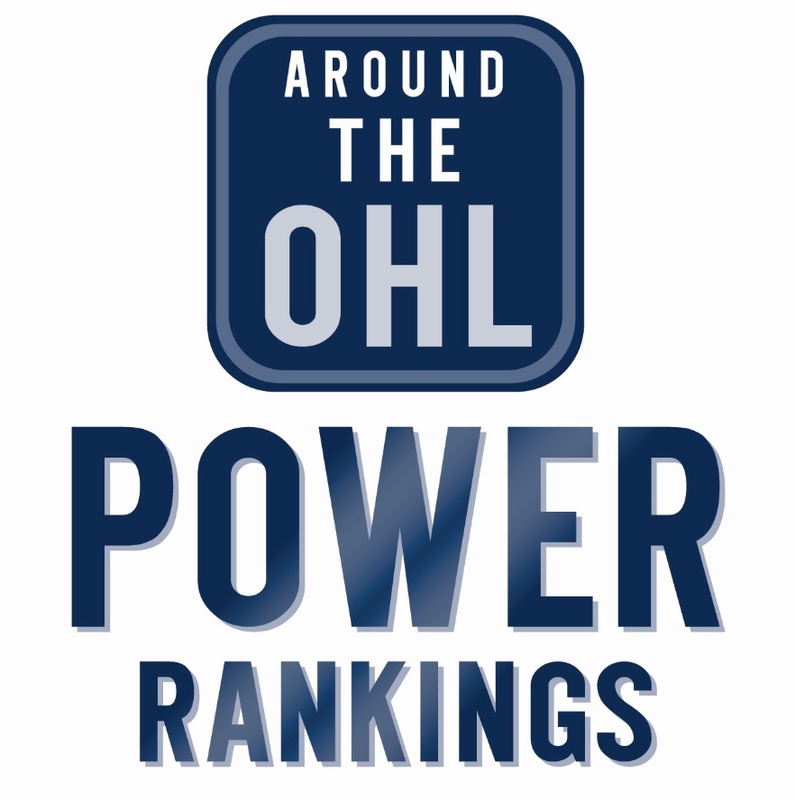 With Ottawa as the early favourite out of the east, Niagara could very well be their biggest competition at the moment. Not only do the IceDogs get top-end scoring talent with Robertson, but they get another quality player in Paquette. Somebody who’s been a good player on good Kingston teams before, and whose former organization speaks highly of as a person, Niagara’s defence is objectively better on paper. However, the IceDogs do sacrifice their most offensively inclined defenceman this year in Constantinou. The next closest defenceman to him statistically is Elijah Roberts with seven points, but not far behind is Lleyton Moore who’s off to a strong start in his OHL career, and projects to be a highly efficient two-way defender in his own right. What the IceDogs sacrifice in offence from the back-end, they gain in size with the 6-foot-3, 216 lbs frame of Paquette. With Liam Ham, Roberts, Moore, and Jonathon Schaefer all measuring under 6-foot-0, they now have a more balanced blueline size-wise with Paquette, Drew Hunter, Mason Howard, and the towering 6-foot-5 Daniel Bukac. On the other side, Kingston are doing their best to restock the shelves with draft picks, and they bring in a healthy haul with 11 of them. But of course, draft picks are only as good as the players they’re used on, so the onus is on GM Darren Keily to make this trade worth it. They also get a real promising defender in Constantinou who’s going to be relied on immediately and will be counted on for years to come. Martin is the bigger question mark, with so little time to showcase his full skillset in Niagara, it’s tougher to project how he pans out in Kingston. Part of the game plan for Keily has been picking up various prospects from a collection of organizations that have had difficulty breaking into the OHL such as Anthony Aguanno, Dennis Golovatchev, and Lucas Rowe. Kingston’s roster is very experimental in the sense that they’re willing to give just about any prospect with any indication of potential a chance to prove they can live up to it. Martin fits into that strategy. Perhaps the biggest surprise in the trade is the timing. There’s still plenty of time left before the trade deadline on January 10th. With that in mind, this is great for Niagara, who are getting about 3/4ths of a season out of Robertson and have time to make a charge up the eastern conference standings. For Kingston, the timing may seem more curious, but a possible push from the Robertson camp to get a deal done sooner than later and the idea of giving their young players more time to showcase themselves the rest of the season could have been enough to convince them there was no time like the present to make the move. What we have now are two teams with clearly drawn lines indication which way they are headed. The IceDogs are all in this season, and the rebuild is in full force for Kingston. Tags: Billy Constantinou, Ian Martin, Jacob Paquette, Jason Robertson, Kingston Frontenacs, Niagara IceDogs, OHL, OHL Trade, OHL Trades. Bookmark the permalink.